Learning Data @Learning_Data, an Edtech start up in the Digital Hub, have been selected to exhibit Schoolbag at the BETT Futures Show, which runs in London from January 21st – 24th. BETT is Europe‘s Leading Learning Technology Event. Futures is the designated space at this internationally attended conference, for thirty of the world’s most inspiring educational technology start-ups. These start-ups were competitively selected and Learning Data are delighted Schoolbag has been given this recognition. Learning Data, an ed. tech. start-up, based in the Guinness Enterprise Centre in Dublin, are rapidly redefining the meaning of a schoolbag. They have created Schoolbag – a web-based student organiser through which students can record their homework, complete their homework online and submit it to their teachers for review. Teachers can also issue learning resources to the students, thus reducing the need for paper and accelerating the digital transformation within classrooms. The best thing about Schoolbag, according to Philip O’Callaghan, Managing Director of Learning Data, is that it “organises student learning, so if a student is out of school for whatever reason they can log into Schoolbag to access the latest notes and homework. Schoolbag is a software platform that significantly increases student productivity and also places the digital device (tablet, phone or desktop) at the centre of student learning. Stuart Johnson, Technical Director of Learning Data, says that Schoolbag is transforming how students and teachers communicate. He says that he loves creating technological solutions which make life easier for the user and he is excited about the opportunities for Schoolbag. Student users are reporting that Schoolbag is helping them to learn as teacher notes can be accessed from home and it reduces the need to carry home a heavy bag. Schoolbag is currently being used in 20 schools in Ireland and Learning Data will be using the BETT Futures conference to launch the product to international schools. More information on Learning Data here. Learning Data is an ed. tech. start-up based in the Guinness Enterprise Centre in Dublin. 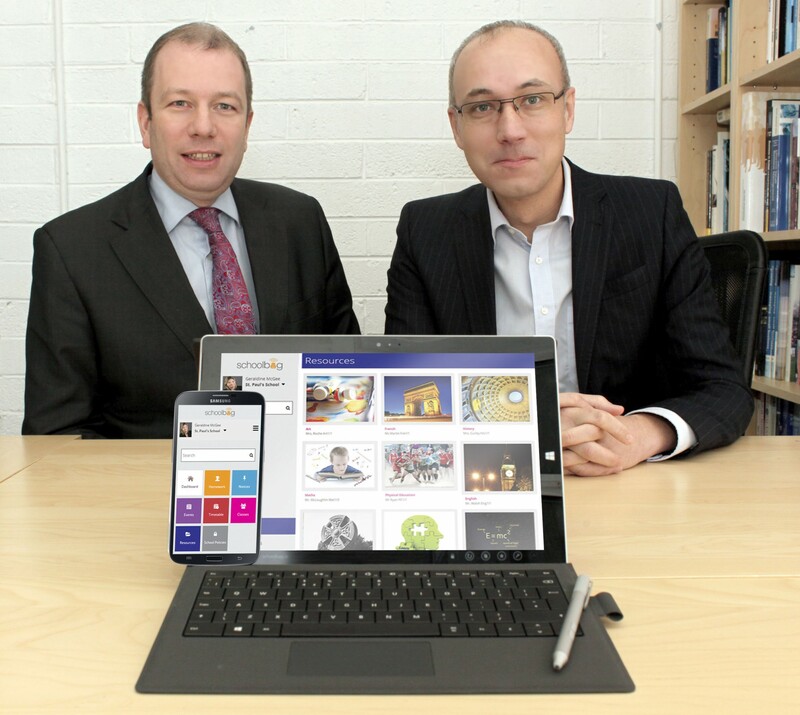 Founded in 2013, it is run by Philip O’Callaghan, Managing Director, and Dr. Stuart Johnson.